I have talked a lot about my love of samplers, and how it started. And through this interest, I have learnt a lot about them over the years either by reading or attending conferences in the United States. When I see certain Dutch samplers, I am often able to identify where they are from. Some, like the Marken Samplers, or the Frisian Samplers, have a wonderful distinct style. Then there are the distinctive Scottish Samplers, the Quaker cartouche samplers and the Juda Hayle samplers. But when it comes to French samplers, I know so little. Is there a distinctive style? Was there a particular period when they were made? Were there particular schools or teachers? What was the usual age of the sampler maker? 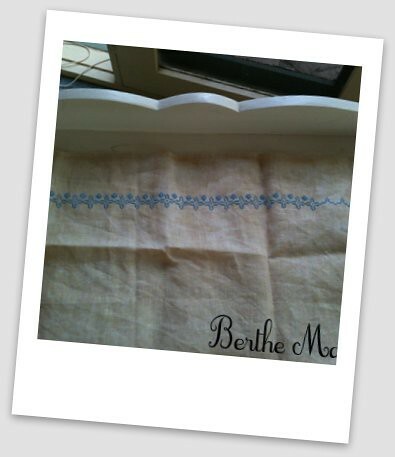 Working on Berthe Massiet (from Reflet de Soie) has only deepened my curiosity into the origin of these wonderful examples of skill with the needle from France. I would love to know if there was a particular museum where I can see the originals, such as the one in Germany, or the one in Switzerland. Or even a particular book. What about a website?